Click to Join The Roadhouse Core! ATTN: The website is currently down for re-design. It will be up in a couple days… yeah, oops. Don’t forget to rate the story! For the history of our goofy system, see Anais’ post “Read Short Stories or Ray Bradbury Cries.” If you want to design a Bradberry, we’d love to see it. On a scale of 1-6 Bradberries, how do you rate “The Largesse of the Sea Maiden”? Tell us in the comments below or via voicemail, and we will give the final tally on the next episode. Next weeks story The Semplica-Girl Diaries is by George Saunders. Subscribe to Podcasts by Email! Don't Like Smartphones or iTunes? 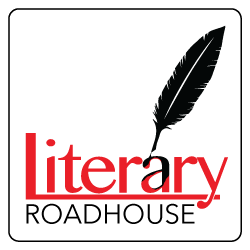 If you enjoy Literary Roadhouse, consider becoming a patron on Patreon. You decide how much to give, and every bit goes a long way in helping us bring you better content.